The mission of the National Association for the Advancement of Color People is to ensure the political, educational, social, and economic equality of rights of all persons and to eliminate racial hatred and racial discrimination. 6. To educate persons as to their constitutional rights and to take all lawful action to secure the exercise thereof, and to take any other lawful action in furtherance of these objectives, consistent with the NAACP's Articles of Incorporation and this Constitution. In 1970, a group of concerned Killeen Citizens met to discuss the closure of Marlboro Elementary School, which had been declared "Racially Unbalanced" by the Killeen Independent School District. The students attending Marlboro Elementary were all African Americans. Those concerned citizens decided to seek assistance from the NAACP Regional and Field Office. 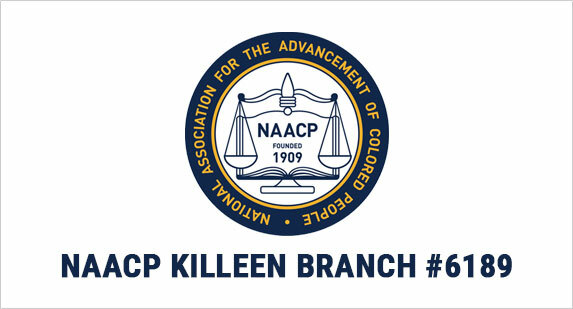 These seven citizens were officially charged as an NAACP Committee with the sole purpose of organizing a Branch in Killeen. This committee was successful in securing more than the required number of members and a NAACP Charter was granted to Killeen on July 2, 1970. The citizens who spear headed this effort was: Mr. Willie Gibson, Mr. Reuben Hatcher, Mrs. Catherine Hatcher, Mr. Willie Jefferson, Mr. Napoleon May, Mr. Clyde Williams, and Mr. Clifford Young. Through the effort of this newly formed Branch, Marlboro Elementary was later reopened and white students bussed into the school in an effort to eliminate the "Racially Unbalanced" situation. The schools in KISD were becoming integrated for the first time. Since that time, the Killeen Branch has been successful in eliminating many acts of discrimination in employment and promotion opportunities to include housing within the Killeen-Fort Hood area.